Lighttpd (pron lighty) is an open source web server optimized for speed-critical environments. It was written by Jan Kneschke as a proof-of-concept to handle 10,000 connections in parallel on one server. Lighttpd is the perfect solution for servers that is suffering load problems. It is licensed under the BSD license. 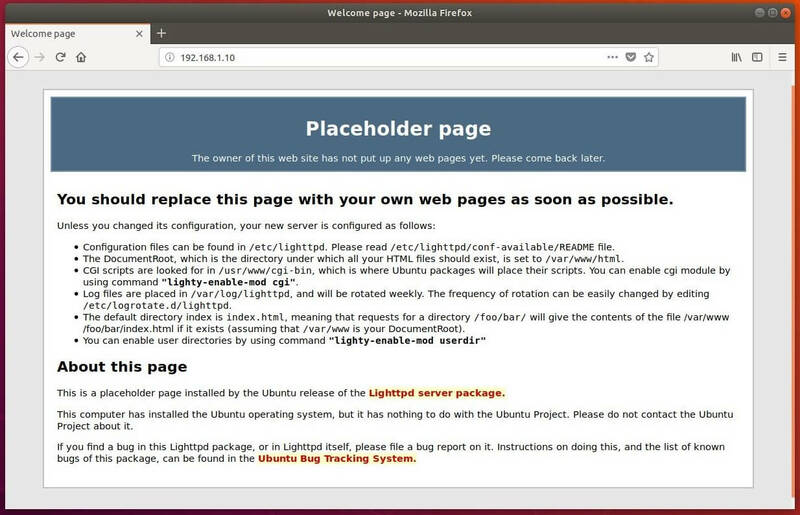 This article shows you how to install Lighttpd on Ubuntu 18.04 with PHP-FPM and MariaDB support. 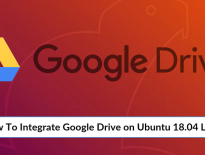 Here is the tutorial on Step by Step installation of Ubuntu 18.04 and Upgrading Ubuntu 16.04 & Ubuntu 17.10 to Ubuntu 18.04. 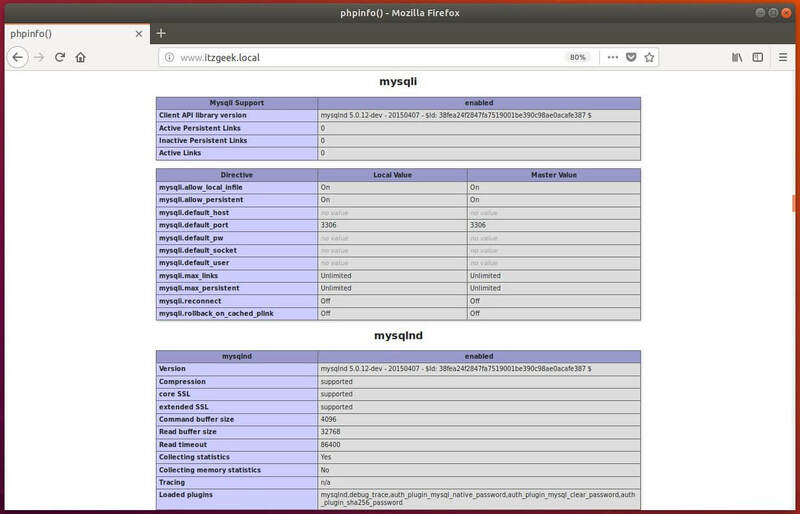 We will now install LMP (Lighttpd v1.4.45, PHP v7.2, MariaDB v10.1.29) on Ubuntu 18.04. Log in as the root or switch to the root user. Install the MariaDB server by using the following command. MariaDB service should now be up and running. If not, start MariaDB server using the following command. Start the Lighttpd service after the installation. Issue the following commands to allow HTTP requests through the firewall. You should see the following Lighttpd’s placeholder page, and this confirms you that the Lighttpd has been successfully installed on the server. Auto-start Lighttpd at system startup. Next, we will install PHP with Fast CG and is useful for sites having high traffic. Install PHP-FPM by issuing the following command. 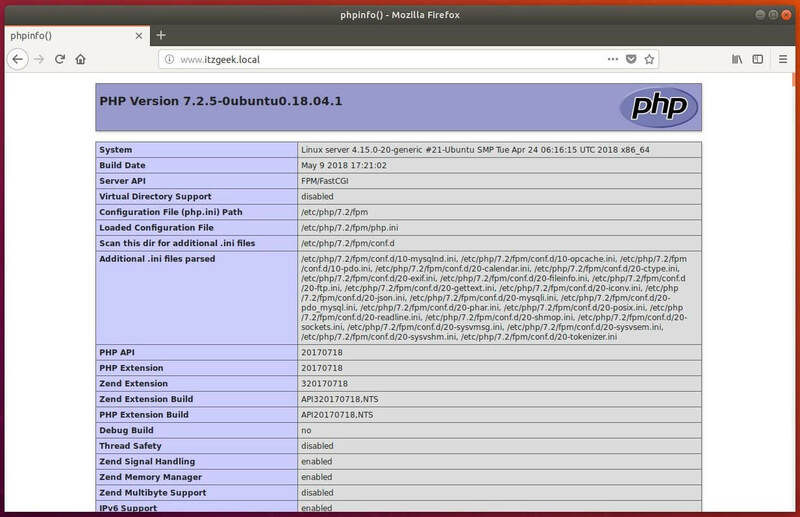 PHP-FPM listens on the UNIX socket /run/php/php7.2-fpm.sock by default. Edit the file “/etc/php/7.2/fpm/pool.d/www.conf” to make PHP-FPM listens on TCP socket. Look for the below entries and change it. Enable FastCGI and FastCGI-PHP modules. Let’s create a name-based virtual host on Lighttpd server for the following details. 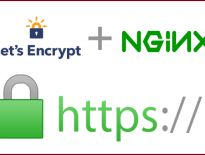 Create a configuration file called www.itzgeek.local.conf in /etc/lighttpd/conf-available/. Create a document root directory for your domain. For testing the PHP-FPM, place a .php file on to the document root of the created virtual host. Open a browser and go to your domain. In my case, it is. From the above screenshot, PHP is working through FastCGI that is shown in the Server API line. Scroll further down, and you will see all modules that are enabled in PHP. Scroll down the browser and look for the MariaDB support information.